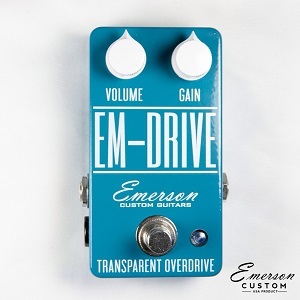 Looking for a transparent overdrive? This pedal does everything from a slight boost/sparkle to a nice, warm light OD sound. Good for use as a first stage OD or a nice boost pedal…. you may find yourself leaving this on the entire gig! – Hand picked and matched parts for ultimate tone. We highly recommend a quality power supply that utilizes isolated power.